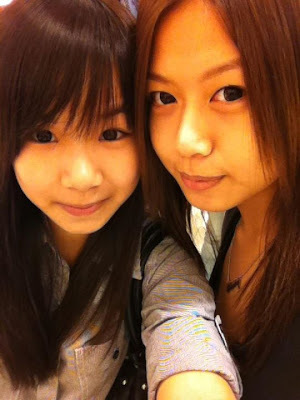 been going around with my girlfriends,eat and shop non-stop thou assignments had made us so "SICK"
At F21, Sales! Great deals..I managed to grab a sandal for RM15 only.Lucky me! We also drove all the way to Bandar Utama, for chilling right after our boring class for COCONUT JELLY. I had the Original Coconut Jelly, this is what we call Temptations LOL! Not pricey it's very reasonable price it's just that the location it's at Oasis Business Centre. Well, can say that we had not "ENOUGH" so we ordered the Coconut Grove's Ice Vanilla ! been so busy with assignments.......sighhhh! what's with the mad week?